In the above pictures, the internal blinds from Grants are concealed behind the purpose-built pelmet. In addition to this, there is external fixed wooden louvers to reduce heat and provide some shade. These were supplied by others as part of the main build. 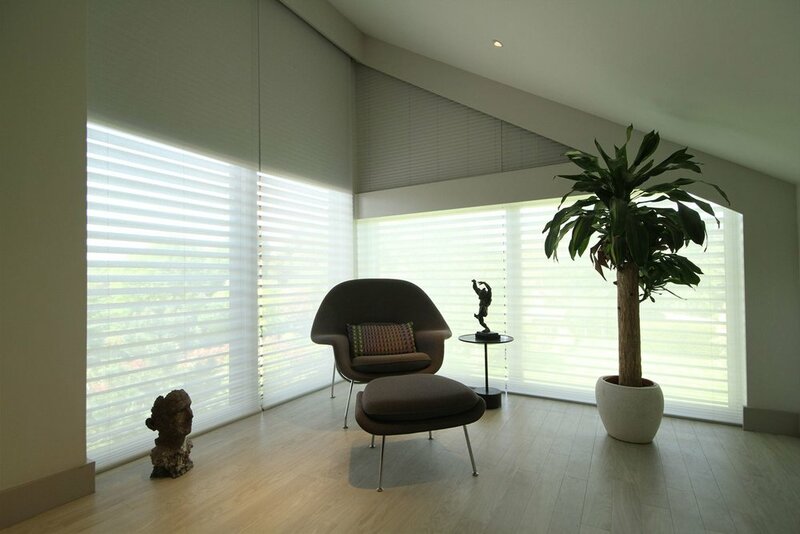 The single pleat sheer blinds partly closed bringing a softness to the room, followed by Same blinds fully closed whilst still allowing visibility. 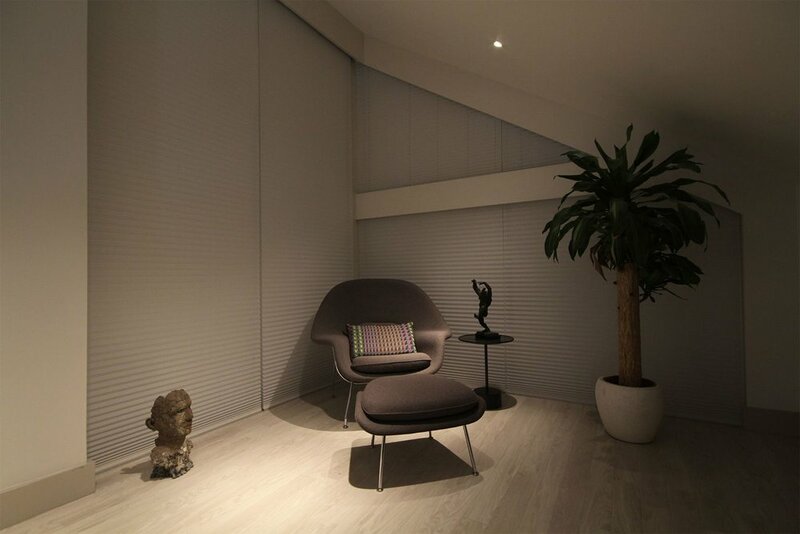 Fully blackout Honeycell Duette® blinds were installed behind the single pleat blinds, leading to the blackout blinds being closed behind the single pleat, providing complete light exclusion.